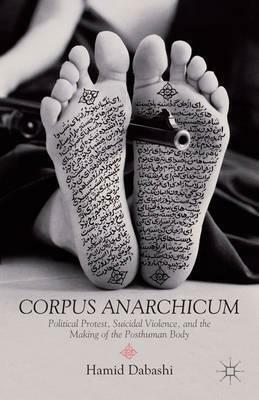 This book is a meditation on and attempt to understand suicidal violence in the immediate context of its most recent political surge—the decade between 2001 and 2011, from the suicidal mission of Muhammad Atta and his band in the United States to the suicide of Mohamed Bouazizi in 2010 in Tunisia. After the former a devastating military strike and occupation of two Muslim countries commenced, and after the latter a massive transnational democratic uprising ensured. Suicidal violence is neither specific to Islam nor peculiar to our time, but the suicidal violence we witness today is of an entirely different disposition because the bodies on which it is perpetrated (both of the assailant and of the assailed) are no longer the human body of our belated Enlightenment assumption. What we are witnessing is in fact the contour of a posthuman body. The posthuman body, as Dabashi here proposes, is the body of a contingent and contextual being, and as such an object of disposable knowledge, while the human body that it has superseded was corporeally integral, autonomous, rational, indispensable, and above all the site of a knowing subject.